You have a great website but still aren’t getting enough business. You have all the right keywords in place, but they don’t yield the results you hoped for. Congratulations, the solution is here! Web Masters’ dedicated team of experts, with our ten plus years of experience and expertise is there to help. Our Search Engine Optimization (SEO) and AdWords services will take your website to the top of Google, Yahoo, and Bing searches, making it more visible to clients and generating a dramatically higher volume of sales in Vancouver, Langley, Burnaby, Surrey, and all over BC. The SEO work you are buying will increase your online visibility on Google search engine. In general, higher ranked businesses get more visitors and with conversion elements on your site, more opportunities to grow. Grow Your Business Visibility Online! Our SEO process starts by analyzing your business, online, against relevant competitors within the same targeted geography. We reverse engineer some of their own efforts to plan your SEO package. Often we suggest to create better conversion pages on your site with stronger call to action. Start by seeing what works well now for your site and where you want to improve, analyze the performance, rankings, geography, and traffic of your site to create a benchmark. We also look at how likely your site is to convert and options to record performance on your site. 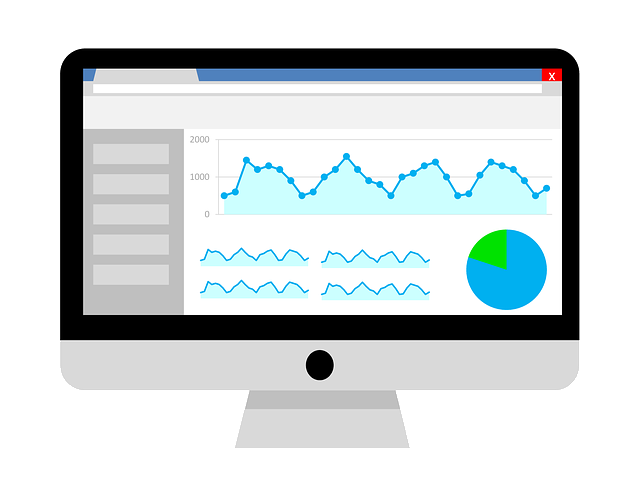 If you do not have tracking codes and Google analytics, we will integrate those for you. SEO goes hand in hand with website design and maintenance, it is recommended to include this in the conversation when you activate your SEO package. On-Site SEO means website code Optimization by making it clear, properly structured, and easy for search engines to understand. Simply put, we make your website search engine friendly by ensuring the two speak the same language. With our help, your website will become a leader of Internet searches, generating more visits. Some sites require a site scan for duplicate content, we use copy scape for the report and create tasks based on the results. Ranking on search, especially if your business competes in a highly-populated industry can be tough. For this, you will want an extra boost of visibility. With a successfully run AdWords campaign, your website ranks as a paid result on the first page and on top of other competitor sites, giving you increased opportunities to reach more potential customers who mostly only view the first page of search. Search engine submission ensures you website indexation in biggest Internet databases, search engines popular directories and social bookmarking sites, making your website more visible to potential clients. Citations are used to authenticate the business listing of your company and as valuable links to your site. They also help search spider discover and crawl your site. Incoming links from related websites will increase the popularity and visibility of your business online. Link building will increase your website visibility on search engines. When comparing the amount of links yur site has with those of the competition we can learn why you may have missed the top positions on Google and can fix that with SEO. Link building is not magic and takes time to complete, creating cheap links with bots is often reported as the reason for down ranking sites, also known as negative SEO. Reputable websites will be constantly referring potential customers to your site. This will dramatically improve your site recognition by major search engines, such as Google, which, in turn, will significantly increase your traffic. Social Media Updates – Facebook, Google+, Twitter, LinkedIn and other relevant socials depending on your industry. Blogging is one of the most advanced methods of generating more traffic and making your website extremely powerful. Blogs help your website become more visible for search engines. By creating and posting custom articles and blog posts on your behalf we will produce more links for you. Your company will be listed at the very top of search engine page, with an interactive map and your phone number. You will be also listed on mobile phones, Iphones, GPS devices and Google-based computers! Local Business Listings is a great add-on to promoting your company on the Internet. We produce promotional videos to promote specific products or services, those videos are used to promote your business as well as serve as valuable links to your site. We have seen good SEO campaigns sending traffic to businesses with bad or no reputation online, the traffic behaviour when reputation is not managed often results in high bounce rate% and lower business results from online campaigns. All our SEO plans include basic reputation services. The work completion to show that we have completed the work included in your SEO package this month, and the SERP will show the changes to your online rankings on search engines, it is much like looking at a stock market report, green is great and red means drops, and finally SEO generates traffic, organic traffic, and we want to monitor the improvement to your site as well. Before you start with search engine optimization (SEO), you want to discuss with your agent the goals of the campaign and the competition you are facing online. You also want to mention what makes your business more attractive to prospective online clients and how you can motivate people to consider you over other options on search.